Looks like the Zenki gang was been wiped out and is now history, Their only remaining stronghold is Qabtan al-Jabal. Seems like HTS is taking over basically all of rebel-held western Aleppo. Evil men in the West when they armed this mob against the Syrian people and then sold them to us as the Free Syrian army. another one for the list, not confirmed yet. The Department of Foreign Affairs is checking reports that an Irish man has been arrested by Syrian Democratic Forces (SDF) fighting ISIS in eastern Syria. All these FSA groups were just useful puppets for HTS/Al Qaeda all along. They used these groups for weapons, money, and western media support and propaganda. 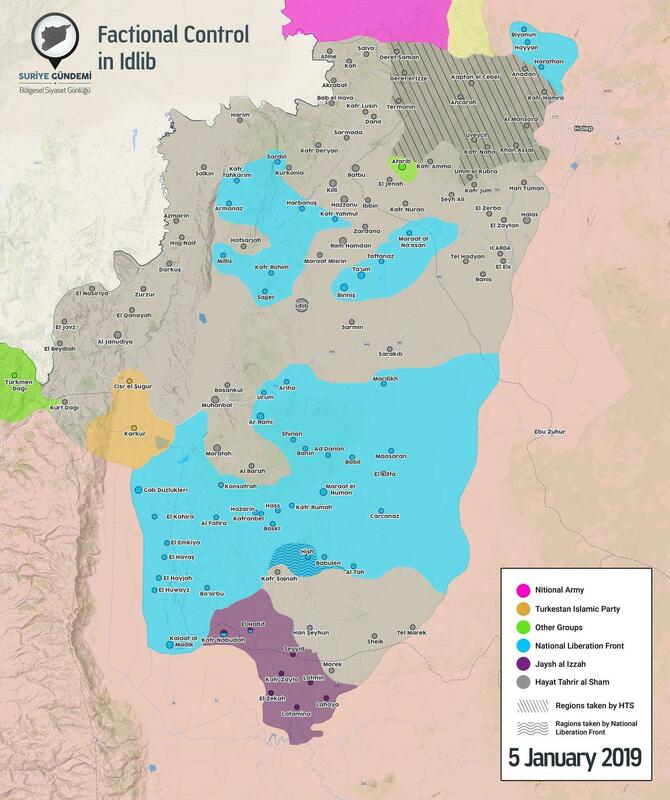 Idlib Situation Map after Ahrar surrender. US Court 'awards' familly of adventurer 300 million for being killed while being embedded with jihadists in Syria. Hope they don't get a single red cent. The audacity is quite disgusting, it reminds me of when another US Court stole an Iranian skyscraper to pay the victims of 9/11. That warmongering country owes Syria hundreds of billions in reparations for it's terrorist war on the country. The Americans really have hypocritical sanctimonious down to a fine art. They do and they get especially petty when they lose a conflict, they refused to pay to help Vietnamese people suffering from cancer as a result of Agent Orange. In this case it does not help when the country is a colossal Israeli proxy and treats Israel's enemies with no justice in any arena, no country who is in their crosshairs should have any assets within their reach.